We have a lot of love for the 2017 Kia Sportage, and so do drivers from all across the United States, and this is definitely a crossover you won’t want to miss. The experts at Autotrader agree and, in this video, they’ve put together a list of five reasons why you will want one in your driveway. From the powerful and efficient engine options, the convenience of the UVO eServices technology, a spacious interior, to the sharp and dynamic style, and much more, the only thing better than looking at it is driving it. 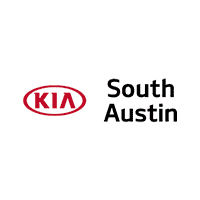 We would love nothing more than to take you out on a test drive in the 2017 Kia Sportage, so come on down to Kia of South Austin today! With so many other stylish and affordable new Kia models to peruse in our selection, you’ll have no trouble discovering the ride of a lifetime.